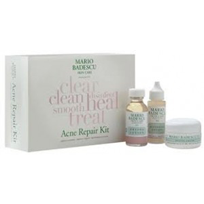 Meant to treat and reduce existing acne, the Mario Badescu Acne Repair Kit claims to clear whiteheads overnight, conceal blemishes while they heal, and fight deep seated acne, while preventing new acne from occurring. Will Mario Badescu Acne Repair Kit actually work? We need to look at the ingredients and the entire system to make that assessment. 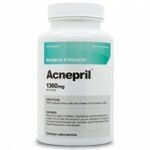 This kit contains 3 of the most powerful acne treatment and prevention products in Mario Badescu’s line. Drying Lotion (1oz.) – This product made Mario Badescu famous all over the world and is one of their most popular and best selling product. 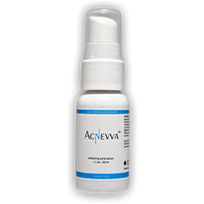 Perfect for spot treating acne while the soothing calamine lotion soothes your skin. Ingredients: Isopropyl Alcohol, Deionized Water (Aqua), Calamine, Camphor, Colloidal Sulfur, Salicylic Acid, Glycerine, Zinc Oxide, Titanium Dioxide, Talc. Mario Badescu Acne Repair Kit have some good ingredients, but it’s unlikely that an entire system will work for your skin and to treat your acne. It might be better to try one or two of their products rather than invest in the whole system. ay says:Sooooo the other day, it occurred to me that maybe my acne isn’t gteting better because I’m putting chemicals on my face. So, I decided I was gonna get all-natural makeup. Well, when I went to Whole Foods, the lady told me to just all-naturally treat it. So I got cleanser, toner, and moisturizer, which she told me to do. And then I asked her about the makeup, what would be my best bet? And she said that it really doesn’t matter, as long as your face gets really clean at night. Which really baffles me. 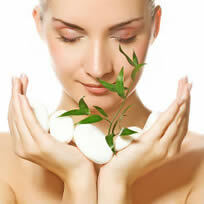 If I’m treating it, opening the pores or whatever, why would I just clog them with chemicals? I don’t get it. Anyone know? Anyone have suggestions? Cause I’m really tired of this crap.